I met Cat in grade seven. She was the girl who always had nice clothes, a keen eye for detail and was very creative. Email was almost unheard of back then so we lost touch after high school but thanks to Facebook we reconnected recently. 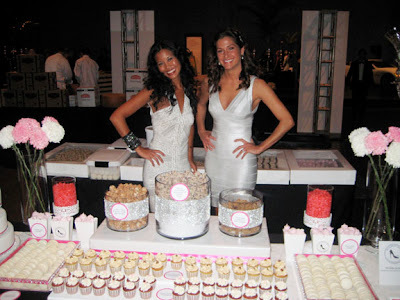 Now she's all grown up and has started her own cake business, We Bake In Heels, with her best friend, Adrienne. Their cake studio is stunningly sweet and they get to wear the most gorgeous shoes to work! What is a typical day in the life of Cat and Adrienne? We wake up earlier than we would like to everyday…and we realize that’s what we signed up for when we decided to open up a bakery. No matter what kind of crazy day we have planned, we always take 15-20 minutes to sit down and enjoy a proper breakfast together. Afterwards most of my time is occupied in the kitchen running the yummy side of the business, and Adrienne is in the office running the business side of the business. Then the madness begins at 11am when we run back and forth between our Vaughan Mills booth and the Weston Rd. 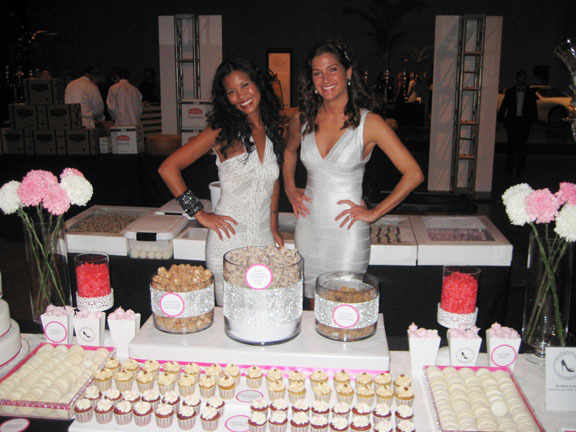 store making sure that all of the cupcakes and cakes are beautiful and delicious and both locations are running smoothly, and YES we do all of this wearing 4-5 inch heels! Our day finally comes to an end around 7pm when the last of our cupcakes are sold, and we sadly part ways for the evening wondering what we’re having for dinner, what we’re going to wear tomorrow, and if it’s still appropriate to wear sandals or are we into boot season? 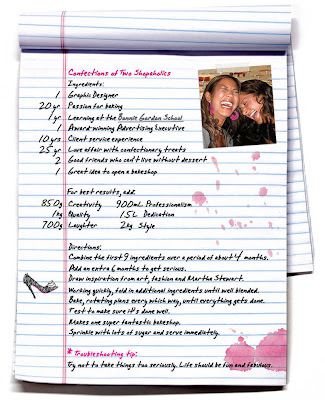 Tell us more about We Bake In Heels! It's such a unique and fun concept so how did you come up with that? Well we decided very early on that if we were going to open a cake shop, we were definitely not going to wear running shoes or scruffy “kitchen” clothes. While we were brainstorming for a name, “We Bake In Heels” was thrown out there as a joke but then we immediately realized that there was no other name for our business. 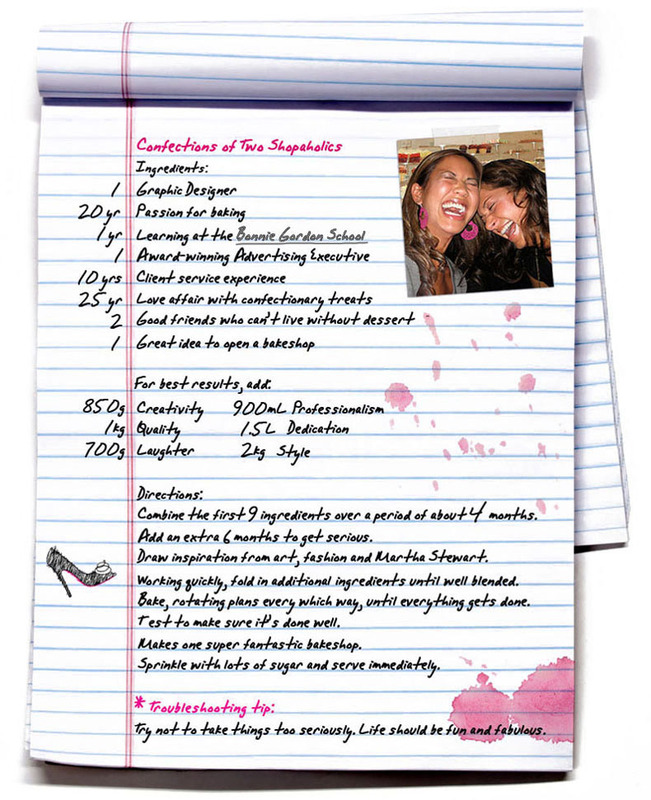 Do you ever cheat and not bake in heels? Seriously, we promise we won't tell! Of course we do! Not even going to lie about it…we work 12-14 hour days!!! What were you doing before you became entrepreneurs? Adrienne was working at an advertising agency and I was a graphic designer. And while we are sometimes nostalgic for the luxuries of ‘paid vacation time’ or ‘sick days’, nothing has been more gratifying than running our own business. You ladies have a gorgeous wardrobe! What are your favourite places to shop in the city? Aww, thank you! We both love TNT at Hazelton Lanes in Yorkville. Holt Renfrew Last Call at Vaughan Mills has some great stuff too. We also have a slight addiction to online shopping. Take the time to travel, because it’s not as easy to make the time later on. Hey instead of buying everyone at the bar tequila and champagne, you should invest your money in real estate / land / property. Make yourself happy in whatever you do. Always be open to change. Don’t wear yoga pants and uggs to work! Save those for leisurely evenings and weekends. There are two locations where you can get your We Bake In Heels goodies and they also take custom orders. Make sure you call ahead to book an appointment. Their store at 8099 Weston Road in Woodbridge is open Thursdays to Saturdays only. They also recently opened a booth at Vaughan Mills Mall.